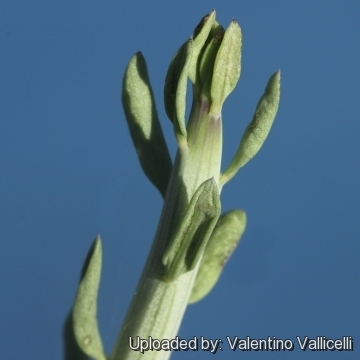 Accepted Scientific Name: Senecio anteuphorbium (L.) Sch.Bip. Senecio anteuphorbium f. cristata hort. Description: Senecio anteuphorbium is a summer dormant deciduous suberect or scrambling shrub that can grow to 90 to 250 cm tall and wide, sometimes forming ragged thickets. This plant was one of the earliest of the succulents to be cultivated in Europe, with plantings dated around 1570. 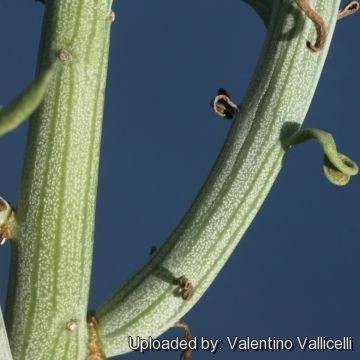 Stem: Ascending or arching, long joined, round, up to 12 mm in diameter, fleshy, glabrous, pale gray green, dotted and glaucous and striated with darker longitudinal lines; stems often much branched, with a characteristic "sea coral-like" look. Leaves: Ephemeral, sessile, oblong-elliptic, obovate or cuneate appressed along the stems near the branch tips, 5-15 mm long, 2-6 mm wide, 2 mm thick, grey-green glaucous. Inflorescence: Terminal few-headed umbelliform cymes up to 6 cm long bearing 3 to 7 spongy, rayless, discoid, capitula (flower heads) up to 2 cm in diameter that have white or greenish disk flowers with yellow stigmas and anthers. Contrarily to most succulent Senecio species that have usually foetid smelling flowers Senecio anteuphorbium has sweetly fragrant blooms. Pappus inconspicuous 12-16 mm long. Cultivation and Propagation: Senecio anteuphorbium is a fast grower, good succulent ground cover in frost free zones and also a great container plant for full sun to partial shade. 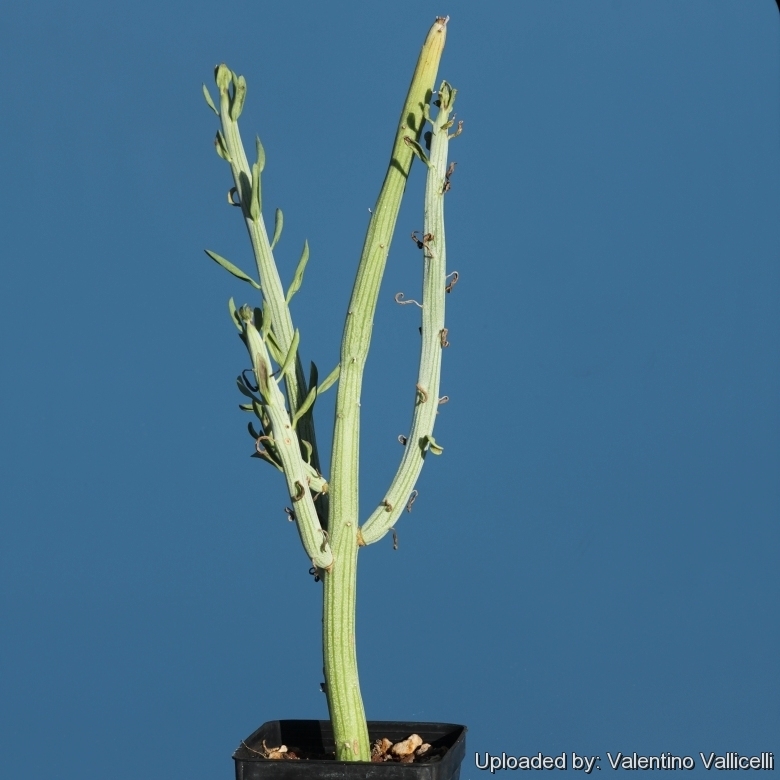 It is probably a winter grower and need water from October, when the new leaves can be seen forming on the growing tip In April the leaves begin to go yellow and drop off, so now it rests quite dry in to summer. But others suggest to water it moderately all year round as it tends to be an opportunistic plant that tend to grow in each time of the year whenever it has enough water in fair weather and rest when temperatures are too hot or too cool and may have several or sometimes no growth cycles in a year. It must be grown very hard in the nursery as close to the natural conditions as possible. This ensures that it keeps its compact habit. Fire resistant. Exposure: Full sun to filtered light. Maintenance: The flower stems need to be removed to keep a tidy appearance. This species do tend to get sort of leggy, which is particularly a problem if grown as a potted plant, and yearly pruning is often necessary to shape. Like quite small pots, repot in very later winter, early spring.